There’s a limited-edition Nier Blu-ray disc for sale here only at Tokyo Game Show, and it’s selling out in minutes every morning. 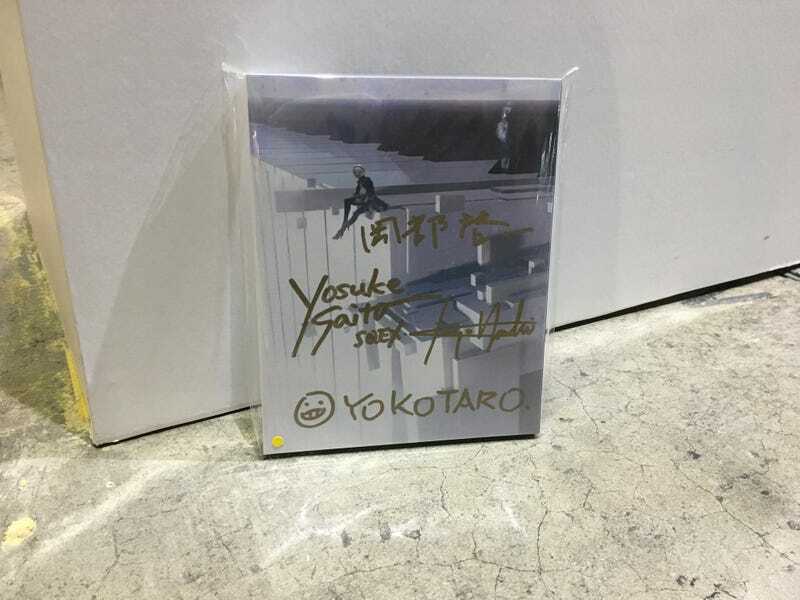 The disc itself, a recording of a live concert of music from Nier and Nier: Automata, is something you can buy anywhere, but at TGS you can get one that’s been signed by the game’s creators. These cost the same as an unsigned version (6,200 yen, or about $60), but only a few are available at the Square Enix Music sales booth on the Tokyo Game Show floor. Square Enix did this last year as well, selling CDs and Blu-rays signed by composers, but none of them sold out so quickly on the business-only days of the show, when Tokyo Game Show is full of game industry folks and not the general public. I swung by the booth on Thursday in the late morning and saw that many of the signed items had already sold through their allotments that day. So I beelined to the booth Friday morning, and apparently lots of other people had the same idea. I was able to grab one of the coveted signed Blu-rays, and watched as many more people bought the same item. The doors of Tokyo Game Show opened at 10 am. At 10:10 am, I snapped the photo above; the Nier Blu-ray was already gone. It’s gonna be a bloodbath on the public days, tomorrow and Sunday!